The new comprehensive World Atlas of Artificial Night Sky Brightness has revealed that an increasing portion of our sky is being polluted by the artificial sky glow – atmospheric light scatter reflected from the electric lighting below. 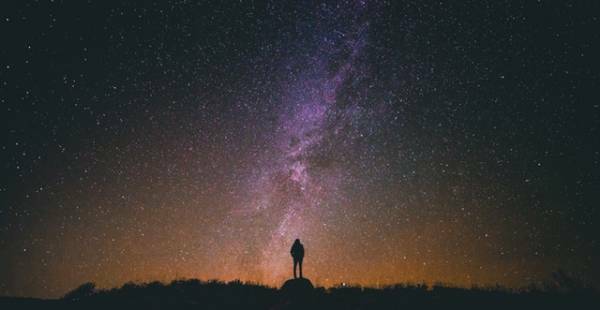 Apart from Milky Way being no longer visible to one-third of the population, the problem with light pollution goes much further than stargazing. Epidemiologists who have taken interest in the problem say that numerous conditions may derive from the disrupted circadian rhythms – our inner day/night clocks, while ecologists point out the adverse effects of artificial light to migratory birds and mammals. But what can we as individuals do to reduce it? Is there anyone in the room? The simplest, cheapest, and the most obvious way of fighting light pollution is to start turning lights off when no one needs them. While outdoor lighting has its time and place, illuminating dark areas like porches and walkways is not always justified. In fact, there’s little data to support that outdoor lighting reduces crime. If you want additional sense of security, at least install a spotlight with a motion detector which would go on only after someone comes within its range, and use it along the low-light-capable CCTV camera. Otherwise, if you need to go outside after dark, just bring a torch. Who’s paying for that light? Next thing, check with your power company to see if you’re paying for the outdoor street lighting. It’s very likely you’re being billed for that eye-fatiguing sodium or mercury vapour lamp in front of your house. Utilities in many areas charge from $5 to $10 a month for this service. Make sure you check your bill and call the customer service. If they’ve been charging you for the street light, ask to terminate the charge and ask that the light be removed. Most power companies will be more than happy to oblige, as those street lamps are always in demand due to vandalism. As your outdoor fixtures are concerned, make sure you replace conventional high-energy metal halide lamps with more efficient motion-actuated LED floodlights. While the energy-effectiveness doesn’t strictly follow the reduction in luminous flux, it will reduce the monthly electricity bill and reduce the company’s carbon emissions. While in developed countries like Australia commercial environments have strict illumination regulations, as residential properties are concerned, consider hiring a knowledgeable Sydney electrician to recommend a low-polluting lighting scheme which suits your needs. The Fixture Seal of Approval certifies that a luminaire is approved by the International Dark Sky Association by meeting their rigorous guidelines. If you want to contribute to reduce light pollution, you should look for this symbol when purchasing new outdoor lights. These fixtures minimize glare, reduce light dispersion, and most importantly, don’t pollute the night sky. They can also be used in combination with energy saving features like motion sensors, timers, and dimmers. A company called Starry Night Lights specializes in low-pollution lighting and maintains a blog on light pollution and related topics. Since they emit only 5-7 candelas of light, Core Glow stones don’t ‘cast’ the light as electric lights do. The ambient glow from glow pebbles doesn’t cause light pollution, and so doesn’t contribute to bright night skies. Instead of bright electric fixtures, they can be successfully used to line pathways, steps and even patios. In addition, they are 100% eco-friendly, since they don’t use electricity, don’t break, and don’t require technical maintenance. As a matter of fact, glow stones can be used to indicate light pollution. If you’re able to see the glow at night, you’re lucky to be in a low light pollution area. On the other hand, if the glow is faint or not visible at all, it means light pollution in your area needs attention. The stray light and energy required to produce it is no less than wasted. In many cases, the extra lighting doesn’t necessarily contribute to public safety, nor it increases the usability of outdoor amenities after dark. If everyone adopts at least two of these light pollution-fighting strategies, perhaps our children’s children could get to see the Milky Way the way we did.